I have heard Al Bielek speak on the “Philadelphia Experiment” at several expos over the last two years. The material he presents is both astounding and appalling! Last September, at the Los Angeles Whole Life Expo, Al consented to do an interview for Connecting Link. First you will read Al’s account of the years leading up to the “Philadelphia Experiment.” Then, for the first time in any magazine, Al shares further information on other, less known experiments that continue to this day. Experiments that took place, and apparently, still do, at Montauk, Long Island. My father, Alexander Duncan Cameron, Sr., enlisted in the U.S. Navy prior to the U.S. entry into World War I. He sired me, first, then, later, A. Duncan Cameron, Jr. (May 1917), by different mothers. Duncan and I, as half-brothers, were both raised largely by Aunt Arnold in the Big House, still in West Islip, Long Island (father remained in the Navy until 1930, when he was retired with a pension). Since there was no lack of money (due to the Arnold/Constable Department Store fortune), Duncan Jr. and I (upon completion of high school) attended different universities. I went first to Princeton, and later to Harvard, obtaining a Ph.D. in Physics. Duncan attended the University of Edinborough (Edinborough, Scotland), also obtaining a Ph.D. in Physics, in the summer of 1939. With a completely successful test in 1940 at the Brooklyn Navy Yard, the project was classified and renamed “Project Rainbow.” Offices were set up in the Philadelphia Navy Yard. Duncan and I both shuttled back and forth between Philadelphia and Princeton. In January 1941, we were sent to sea for sea duty on the U.S.S. Pennsylvania. We toured the Pacific until October 1941, when the Pennsylvania was put in dry dock at Pearl Harbor. After taking leave in San Francisco and remaining there through December 1941, we were returned to the Institute early in January 1942. We worked on the project through 1942. Nikola Tesla dropped out of the project in March 1942 and Dr. John Von Neumann took over at that time. Duncan and I remained with the Project through the two tests in 1943 with the “U.S.S. Eldridge.” The second test, August 12, 1943, was a total disaster, with many casualties and with Duncan disappearing permanently. With charges of espionage placed against me, I expected a General Court Marshal. Instead I was transferred to Washington, D. C., whereupon charges were dropped and I was transferred to Montauk Long Island Military Base (Fort Hero). From that point I was time shifted to 1983, back in the Phoenix Project. Once there, I was given a super brainwashing-all memory was removed. Additionally, I was age regressed (reduction of physical age and size from a 30-year old to approximately 1 year of age) and then, at a physical age of 1 year, sent back in time to 1927 to be plugged into a new family as a substitute for a dead son. This new family — the Bieleks — became my only known parents for over half a century! With the return of my memories, in May 1986, of the Phoenix Project and of the Philadelphia Experiment (Project Rainbow) in January 1988, 1 have engaged in extensive lecturing and writing on the subject of The Philadelphia Experiment and its ramifications, the follow-on Project Phoenix, and the incredible consequences of the lockup through time. Tell me about the Phoenix Project. I’ll deal with the final phase of the Phoenix Project and some of the aspects involved. I joined the project in 1953 as Al Bielek. I did what the book The Montauk Project points out, the computer interface between the psychic chair used to steer the time tunnels in the final phase of the operations. Those earlier phases were very difficult — they didn’t work right and they had many problems. But, I became involved as Al Bielek. Preston Nichols became involved as Preston Nichols, and Duncan Cameron became involved as Duncan Cameron, in his second body, not remembering anything about his involvement with the Philadelphia Experiment. The project generated the time tunnels. People were able to travel in time and space and they did. But they also had other projects going on at Montauk. We still don’t know all of them. The technology for the tunnels was given to us by cooperative effort of alien groups, primarily the Orion group, which involved reptilians, a sub group called the Leverons. A technical group which provided most of the assistance, was the group from Sirius A — a materialistic, scientific, people. Perhaps not a bad heart but misdirected, because they had very long-term contracts with the Orions to provide them with the technical knowledge and assistance they needed. And they were working with our government in secret to work out mind-control techniques and technology and pushing for a highly automated, technical society, which would be much easier to control than it would be the way it is now. But we’re approaching that rapidly. Also there were a lot of little greys that got underfoot. There were other groups there who took no part in the project, but were there as observers and the group from Antares, very human, very happy, jovial people. You couldn’t tell them from a human spirit. In fact, I don’t think you could anatomically either. Why they were there, I don’t know. They didn’t do anything. They were observers. But the aliens provided the expertise, the hardware. They convened it from their computer data to IBM 360. That still didn’t work and that’s when other changes were made. I became heavily involved in making the time tunnel system work. It was alien technology. We did not have the theory. We did have the capability, the technological expertise to build the hardware, and we did, to their specifications. ITT was a contractor. This was all under “Black Card” clearance level, which is about the highest level of clearance there is. Most people don’t even know it exists. This means, in essence, that it is such a deep Black Hole project that all the records, everything connected with it, is buried in a black vault. Nobody has access to this information without having the proper clearance and a need to know. This includes purchasing departments who buy the hardware for these projects. The records for these sales, the purchases, everything, was buried in the black vault so nobody can find them. This is why they call it a Black Hole project. There are many, many of these. This is one of them. The tunnels became fully operational about 1977 after many changes. About 1979 on they got all the results they wanted. Until August 12, 1983, at night, when the project was deliberately crashed. Sabotaged from the inside. That’s covered in the book. But prior to that what they did was unbelievable. And first they didn’t send anybody. They ran a tunnel into what they thought might be an underground area and rather than risk killing anybody by burying them in solid rock, they sent a camera, a remote-view camera. We found out there was an actual cavern and it was safe. Then Montauk sent people. Duncan and I were in that crew. The first crew that went was directed by Montauk to explore the underground of Mars. It’s not mentioned in the book who went, but we went. And there were probably others. We went several times. We found all kinds of artifacts. We found a still functional underground lighting system, a power system. We found it and turned it on and it still worked. No evidence of life. A lot of artifacts, files, records, religious artifacts, statuary, all stored like it was a storeroom — a huge storeroom. Was the written material in English? No. It was in another language. It was not English. Duncan was able to translate some of it. I saw it, but I was not able to translate it. And a lot of the records and stuff were brought back. And eventually Duncan and I decided to take some clandestine trips on our own (After one trip is made, it’s all recorded. All the coordinates and information, which are required to operate the system, is recorded on magnetic tape. And you can take this tape, plug it into the computer, and without going through the psychic and the chair number, you can open the tunnel to the same location because the computer contains all the celestial data — all the Earth movements, solar system movements, all in the computer — so that there is complete reference to the new location where the planet would be. You “plug” the tunnel into exactly the same location.). So we went twice on our own for our own little explorations. And no one was manning the machine for you back home? We turned the equipment on. We knew how to do it. And nobody was there. On the second trip, we were discovered because, there are automatic recorders that tell how many times this equipment is used, and for what purpose, and what dates, times and so forth. These were automatic, complete time, event recorders. So we were caught when we came back. We were pulled off the project and slapped on the wrist. “You’re not going to do that anymore,” and one of the people who was involved, a senior scientist, broke our team up. Duncan and I didn’t do much of anything together after that, but others made further explorations. What they found, we don’t know. But we were all given what you’d call the debriefing after this whole project crashed and was formally declared over on January 1, 1984. We all got our debriefings which means your mind was erased of everything you ever did on the project. And they hoped it would hold indefinitely. It didn’t. The reason it did not hold indefinitely was because the site was not destroyed. It’s still there. It was turned over to New York State Parks Commission on January 1 of 1986 or sometime in January of 1986 to become part of the park that already exists out there. The State has never torn anything up. They’ve never torn a building down. They’ve never opened it up as a park. They knocked the fences down so people can go through there and hike and camp if they want, during the day. They cannot stay overnight without a special permit from Montauk Township. That’s not allowed and the park rangers go in to shuttle them out. But the property remains unconverted. Going in there, as I did, first in August of 1985 by the invite of Preston (I took Duncan with me), none of us knew, at that time, that we had been part of the Montauk Project. Preston, as a surplus electronics dealer, had been out there salvaging equipment previous to this trip in August. That’s where the book, The Montauk Project starts. Right. And he didn’t know that he had been involved. He had no recollection. This August trip Preston took us out and said, “You’re both sensitives. Let’s see what you pick up when we go out there.” He says, “I know you’ve never been there before.” He didn’t know, honestly, at that point. So we went out and we sensed these terrible vibes on the base, that something awful had been going on there. We sensed this monster, who, showed up at the end of the story, which helped in the process of the destruction of this station. I went back [to Montauk] in May of 1986 and made another visit along with a group from Phoenix sponsored by, I believe, Senator Barry Goldwater. Because I told this group, whom I knew from December of 1985, about the project and they came out to make an investigation of possible diversion of federal funds from a regular federal project to an illegal project. They were looking for proof. And that was their modus operandi, their reason for getting passes from the State of New York, from the Parks Commission, to go on the base, into locked buildings. There were still some locked. And find what proof, if any, as to whether this was a diversionary project using federal funds. We know now no federal money was involved. Major investigations have proven this. But in the process we took a lot of pictures, and in that same visit that time of May 1986 my memory of Montauk started to come back because I was visiting the site, the scene of the crime, if you will. And it was acting as the trigger. This was the trigger for me — same for Duncan, same for Preston. So my memories came back. I knew then I was part of it. And they’ve been coming back ever since because it doesn’t all come back at once in a rush. It comes back in chunks and pieces, depending upon what the triggers are that bring it back. But once you’ve punched a hole through the wall, it’s like the finger in the dike. The hole starts expanding and it keeps expanding and eventually it will all come through. So I knew, finally, I was heavily involved at an administrative and engineering level in many projects. Duncan was involved in more than one project. Preston was the technical stationmaster after Matthew Zaret. Professor Zaret was removed in 1980. Really, he left at my suggestion, but they wouldn’t let him loose, so he went to the parallel project at Brentwood, Long Island, where he died. Preston took over as the technical director, doing all of the management. He designed and built all of the RF transmitters and pulse modulator systems-anything dealing with RF and transmitters he is an expert at. And that was his expertise and his normal working job. An aerospace company in Long Island employed him for fifteen years until he was fired two summers ago. He was fired but they covered it. It was because he knew too much and talked too much in the open, had recovered too many of his memories and was talking about information at the USPA [United States Psychotronic Association] conferences, more than once, which the government didn’t want made public. So they pulled his clearance first, and then they canned him in July of 1990 while at a USPA conference. He came back to no job. He was told, “You’re finished, pick up your stuff and leave.” And his boss didn’t even know why. His boss didn’t fire him. It was government manipulation. He was an expert at designing transmitters, high-power transmitters, for radar, for whatever. In this case, the Montauk Project, for the final stages of a special Amplitron, which is shown in the book — there is a photo of it. It was designed and built specially for the project by Raytheon Electric in Goleta, Califomia. I remember going out there to approve the first shipment of tubes. They were very, very expensive and specially built. They cost several million dollars apiece. They ordered thousands. So you can see why the cost of this project went out of sight. Capacitors for the pulse-forming networks and the modulator were also specially designed to very rigid specifications. They finally got somebody to build them. Everybody in the industry turned them down, except one. They finally were able to build them to the specifications, and they sold them to the government in matched sets of fifty at the very small sum of twenty-five thousand dollars for each and every capacitor. And they had a hundred on each station. A full set of fifty for two transmitters, operational, and a full set of spares. So that was two and a half million dollars right there — times 25 stations! They ran out of gold (The project was begun with 10 billion dollars in gold. The story of the gold is documented in the book Nazi Gold.). They ran out of money. So ITT picked up the tab. And all this technology was from the alien groups? They had cooperation from the ET’s. See, they had a crashed UFO, which was deliberately crashed, by agreement with Hitler, by a certain group of Pleiadians. It was loaded with technology. And the reason for crashing it was that the German High Command, if they were pushed, could say, “Yeah we found a crashed saucer in the Bavarian Alps” or some such place, “and we recovered it, took it apart and analyzed the technology.” It certainly wasn’t made public. But the remains of that craft were found near Peenemunde after the war was over. This was the rocket testing base for the Germans and where Wernher Von Braun operated along with his crew. When the war was over, he deliberately moved his group to the west, to the Americans. And another group was captured by the Russians, including, I believe, his professor, Herman Oberth. Of course that is where the Russians got a head start on rocketry over the U.S. — they had the professor who taught Wernher Von Braun! There may have been someone else because the Russians captured quite a number of intelligencia out of Germany when Berlin came under their control. So the war actually received a huge boost, technologically from the Pleiadians. So far as deals are concerned, Roosevelt made the first one in the U.S. in 1934, not with the Pleiadians, who offered to help the U.S. get out of the doldrums of the huge depression we were in, but he chose a different group for whatever personal reasons we don’t know. Called the K Group or the Kondroshkin. It turns out, so far as I can determine today, they are the blue-greys. Not the little greys, but a larger group called the blue-greys. In any case, he made his deal with them. They made an offer to provide a whole new technological base for the United States atomic energy in 1938. Roosevelt at first approved and then he turned it down because the military told him, “Uh, uh! We can’t control it from beginning to end. We don’t know what they are going to do with it and how they may manipulate us in the end.” So they [the K-Group] disappeared in the woodwork. In 1943 came the Philadelphia Experiment and the lock-up with the Phoenix Project, ripping a huge hole in space-time. The aliens deliberately did this at the 1983 end to put a rift in the fabric of space-time so large numbers of aliens and ships could come through. They all had time travel capabilities, but the rift was needed to get the large ships through and make a mass invasion of the United States, and later Europe, of aliens (primarily greys) and other types. When they landed at Edwards Air Force Base in the Muroc Dry Lake as well as another air base — I’m leaving a lot of details out — the government already knew all about the aliens being on this planet. They knew since 1887 with the first investigating commission under Grover Cleveland. In any case, they knew that they were here, but then they came en masse. We were confronted by a technology that we couldn’t counter, we couldn’t handle it, we didn’t know what to do about it. So the agreement with Eisenhower and his advisors was to sign a treaty with them, a noninterference treaty and get what technology we could from them-make some kind of agreement. We’d buy time and see what we could do about it later. That was the basis of the agreement. 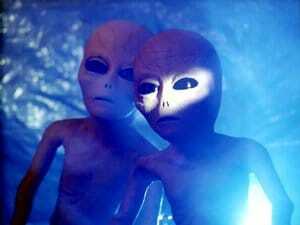 Because of that, very large numbers of aliens came in and eventually became part of the Phoenix Project. They were planning ahead. We didn’t know what they were up to. And I’m looking at this in retrospect, not what we knew then. They were planning ahead. They knew what they were doing. They maneuvered and manipulated the Phoenix Project. They did not expect it to crash then. I am sure they anticipate its continuing for another decade, at least into the 1990’s. However, because certain people suddenly, if you will pardon the expression, “saw the light,” got religion, or whatever it is that hit them, Duncan, and a few others, conspired to destroy the station. And the reason for it was that they were fed up with what they saw as all the evils perpetrated there. I knew about it. I decided that I would not be part of the destructive plot. I said, “Yes, there is a lot wrong here, but we’ve already straightened a lot of the mess out and we can straighten out the rest and continue this as a research tool,” as John Von Neumann* (who is still alive today by the way) wanted. 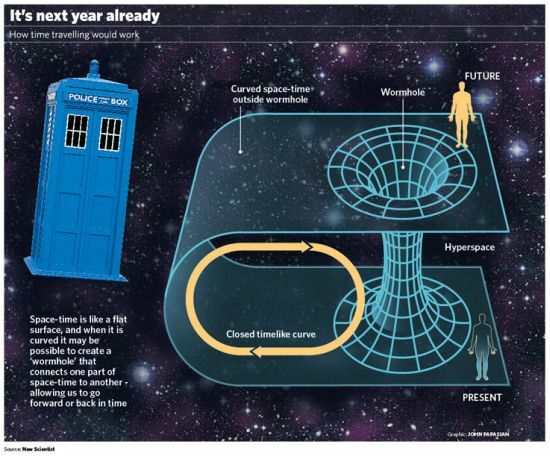 He said, “It’s a research tool; we need it.” Because of the time travel (remote viewing) capabilities, he saw things coming in the future which could cause very serious threats to the United States and the World. *NOTE: Al Bielek was interviewed by Susanne Konicov in 1998. At that time, Dr. John Von Neumann was very much alive and well living in upstate New York. Dr. John Von Neumann died in July 2002. But, these people had their way. They put a special implant into Duncan’s head so that when we, as the original Duncan Cameron and myself as Edward Cameron, came through from the Philadelphia Experiment and went through the station (for twelve hours) we were returned to the Eldridge; then the Eldridge returned to 1943. At that point, that phase was over and it completed the time loop. Then the word went out, “Now is the time” and Duncan released this thing from his subconscious into the machine. The transmitter (which already by that time had its own personality) created this big monster, solidly in 3D, twelve to fifteen feet high and [it] literally came out of the subconscious. It went around smashing buildings and people and it was discovered trying to break into the radar tower. The tower was much too strong for it to break into. The only way to stop it was to destroy the transmitter, and that’s what was done. And it faded out into some other reality. It was photographed in May of 1986. But the final chapter on Montauk was not written. We discovered a month ago (August 1992) that Montauk was reactivated. And that’s what I wanted to get in here. We do not know who is doing it. We have seen the evidence. New coax cable runs, new power transformers being put in on the power substation. The new ones are labeled “non PCB.” Because now the law is that transformers can no longer be filled with PCB as a cooling agent: if they blow up or break open it’s an extreme hazard to the environment. So they use an environmentally safe coolant — a different form of liquid in the transformers and they have big labels on them that say non-PCB. I have pictures of this, from my trip a month ago. There are new coax cable runs around the base which are brand new. The radar tower now has a new steel door where it used to be wide open and you could walk in. They put a new steel door in with double padlocks so you can’t get in. The back garage entrance door for trucks and delivering heavy stuff is now sealed from the inside. And we found other evidence that shows that it’s being reactivated. The government approached Preston to become the director of the New Montauk project, and they told him they also want Duncan as part of it. There are new workers there. There are new entrances to the underground. One person, we know, has been through the outer door and there is an inner locked door with a red light on it. You have to have special access badges or you’ll be stopped. We did not attempt to go in because we didn’t feel we wanted to risk it. And we do not know where the project may go, but we suspect that one of the goals is to extend the time rift (1943 to 1983) onward to 1993 because 1993 is a sub-node point in the 20-year cycle, and August, 1993 will be a very critical area again and they probably want the station activated before August of 1993. That’s what we feel technically they are up to. But what the end purpose is for we are not sure. 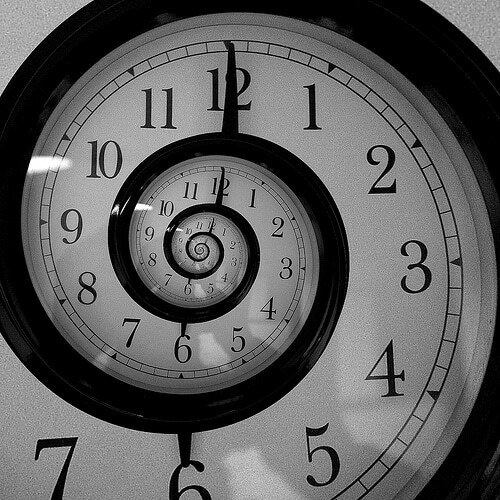 It may be to extend the time tunnel, that is, the time rift, for purposes of their own. There are a lot of things on this project we don’t know. Some of the things they used it for we still don’t know. We have never had access to the classified records of Lincoln Labs at M.I.T. (Cambridge, MA). They have not been able to take Duncan and myself out because of the fact that we help hold the whole time rift stable. It will stabilize itself by the year 2003 unless they reopen it. Then you have another can of worms to deal with. They just don’t realize what risks they are running in reopening that thing. The rift was stabilized in 1963, or this North American continent would now be under salt water. Not from the year 2000, but it would have been in 1963. There was a special project created, now well covered, to restabilize the reverse time wave which would have hit the forward one in 1963 at the node point and wrecked this continent. It was due to the fact that they had this time rift, and because it was unstable in the way it was generated (like a standing wave in an RF transmission line). You may not understand RF theory, but you get a reverse wave in an unterminated or improperly terminated line. Time is a wave as well. You can have a forward time wave and you can have a reverse time wave. If the two of equal amplitude hit each other at a node point, which is the earth synchronization point, like August 12th, 1963, they can be extremely disruptive, physically, to the physical structure of the earth. And being that this project took place in the United States, on Long island, those who looked at it in theory said it would have caused an extreme disruption of geological matter, pulling it out of the earth, in the North American Continent. It would have wound up wrecking the tectonic plates, and the North American continent, other than the mountains, would have wound up under salt water — 500 to 700 feet of it by estimate. It didn’t happen, obviously — we’re here. The 1963 project, “Atlanticus Not Revisited,” was successful in damping that reverse time wave. This is an area of science and technology and physics, which most people know nothing about. We hope that if the project is revived that it will be used properly rather than improperly as it was in the past, though there were some very good uses for the Montauk Project. In a larger view, it might be better left buried. Only time will tell what will happen, and whether or not I will play any part with it. They have not asked me. They don’t want to. All we can do is hope for the best for the future and that the mistakes of the past will be understood and that somehow the future will come out the better for it in spite of the problems we know we face. Radio frequency electromagnetic transmissions – especially related to radar. The R & D facility. Production was at Weymouth, MA – over 4,000 amplitrons were produced.